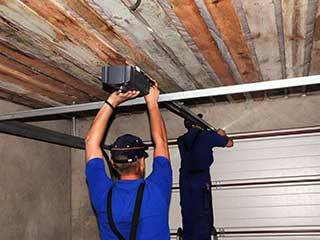 Home Blog Is It Finally Time To Upgrade Your Manual Garage Door? Garages have obviously been around for many years. More recently with the advancement of technology, door openers were developed to allow for the automatic function of garage doors. Today, most doors are automatic, though there are still some residential properties that use the old style, classic manual doors. If you're still using this type of door in your home and are considering an upgrade, read on for the pros and cons of having an automatic door. One of the benefits of having an automatic door is convenience. There’s no need to get out of your car to open or close your door as this can be done with one click of your remote control. Another advantage of an automatic system is better security. These modern doors often come or can be installed with various safety and security features to keep your vehicles and home safe. For instance, all automatic doors come with sensors and a reversal feature to stop your door from closing if it detects something in the path of the door. Clearly, these safety features could prevent damage to your car or even injury. Could You Enhance Your Security? Some doors automatically close when your vehicle leaves the garage. This is helpful in the event that someone forgets to close the door when they leave their home. These doors also come in various aesthetic styles, perfect if you are after a customized, contemporary look. Interestingly, this is also a way to increase the value and curb appeal of your property. While these doors clearly come with several advantages, they also have some drawbacks, which you should also consider when deciding whether to invest. Mainly, automatic garage doors are more expensive than manual doors, as you will also be required to invest in an opener. The installation also takes more time and due to the increased amount of electro-mechanical components, it is likely you will need to invest a bit more in maintenance over the years. All in all, we think automatic doors are usually a great choice – ultimately though, you need to make the right choice for your lifestyle. We'll be happy to advise you further, just get in touch!